For the longest time, I wasn't aware of what face shape I had. I would experiment with hairstyles without keeping my face shape in mind. This lack of knowledge made me make some terrible hairstyle decisions. Hence, my advice to anyone who wants to try a new hairstyle would be, don't do it on a whim. You might regret your decision. On the contrary, spend some time with yourself and try to figure out what face shape you have. Scroll below to learn how many face shapes exist. 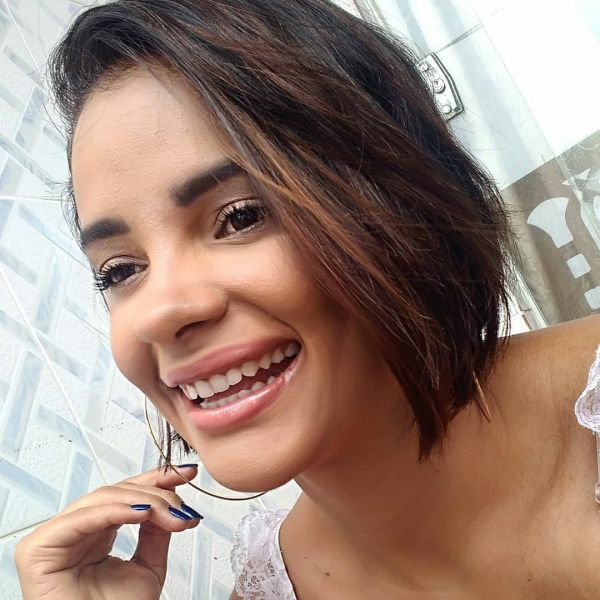 This face shape can't be described as wide. The more appropriate word would be 'long'. The jaw is narrower at the bottom and yet, proportional to the cheekbones. It is this very feature that makes this face shape look great with any hairstyle. Another good news is that any hair length suits this type of face shape. In fact, if you add layers to your mane, it's bound to accentuate your facial features. You are a ball of energy and mush. You treat people well and your face shape gives off a pleasant and calm vibe. You also have an ambitious nature and that quality leads you to succeed. However, at times, you like to keep quiet instead of making unnecessary conversation. This trait saves you from a lot of unwanted drama. Anyone who has a square shaped face should avoid getting poker straight hair. Due to the cut of the face, straight hair can look rather flat than flattering. 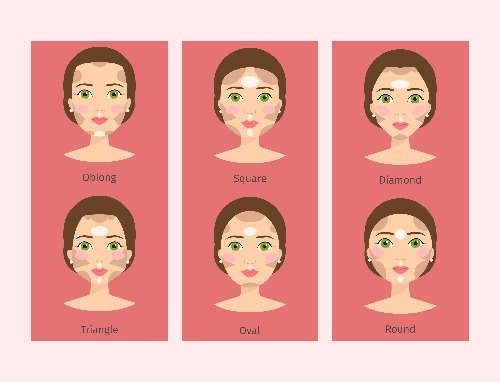 How to know if you have a square shaped face? Simple! Wider hairline and wider jawline. The face shape that's wider and pointier from the hairline, narrower from the sides and again, wider from the jawline. Bangs, topknots, messy waves suit this face shape. You have a strong personality and a go-getter attitude. You won't stop until you succeed and you have zero tolerance for laziness. People are often intimidated by you, but once they get to know you, they will realise what a sweetheart you really are. You have this tendency to fall in love more than once and that's a good thing because it shows how big of a heart you really have. Only a few hairstyles suit round faces because of its structure. The wider hairline complements the fullness of the cheekbones and jawline. In a nutshell, your face looks like a circle. Long layers and bangs work well with this face shape. You're a kind person who has a heart of gold. You love chatting and you're always happy as a clam. You mean well for others and that's what draws people towards you. The only con is that sometimes you let people walk all over you. Don't let people use your kindness against you. Put yourself first and spoil yourself from time to time. With a wider forehead and a narrower chin, this face shape actually resembles a heart! To hide the length of your forehead, you can opt for side swept bangs or a neat fringe. Another way to make this face shape look awesome is to learn how to add volume to your hair. A few instant ways to increase hair volume is to switch your parting from the side you always wear it. You can also tease your hair by gathering your mane to the crown area and comb the hair in an up and down motion. And finally, if you're running late, just spray your hair with dry shampoo. It will not only make your locks fresh but also add volume to them as well. You have a lot of love to give and as a person, you are passionate about every activity you pour energy into. You sometimes get possessive over the ones you love but that's because you don't want to share them with anyone. You also are a high achiever who aims for the sky and beyond. A positive person, who doesn't believe in quitting - you are amazing! The pyramid face shape is one of the rarest out there! How to know if you have one? It's pretty simple. You'll have a narrow forehead, with a broad forehead and an even broader chin (the shape of an actual pyramid). When it comes to finding a hairstyle that suits this face shape, remember, layers are your best friend. Not everyone gets the opportunity to get close to you. Then again, not everyone deserves that kind of attention. You are a rare gem who is secretive when it comes to talking about feelings and intentions. Only a handful know the real you and you like it that way. You like keeping to yourself and you're not afraid to give someone a piece of your mind, if they ask for it. Women who have a diamond face shape have the prettiest cheekbones. A narrow forehead with an equally narrower chin is what this face shape is all about. A bob cut would suit this face shape as it will give one the illusion of having fuller cheekbones. To draw more attention to your pointy cheekbones simply tuck your hair behind your ears and there you go, instant prettiness! Babe, you were born to shine like a star in this universe! You have a magnetic personality and you're extremely talented. People like hanging out with you because you give good vibes and make them feel loved and wanted. You aren't just kind to those around, you're sensitive about other things such as nature and animals. If you have a long and narrow bone structure, then congratulations! You have an oblong face shape. Rule of thumb ladies, if you have a long face, don't play with long hairstyles. 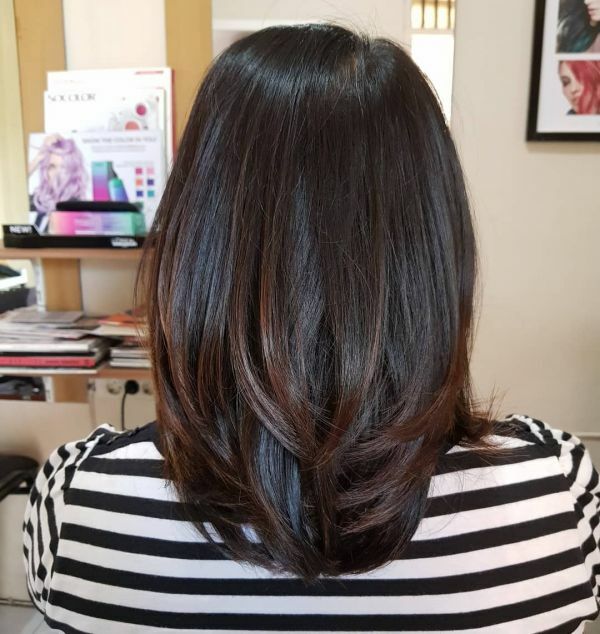 Keep the length short and experiment with layers instead. You're a bit of a critic, and you're proud of that trait. You love living an active lifestyle and you hate the thought of sitting on the couch and doing nothing. You rarely get bored and you're always wanting to give more to the world and mother nature. People tend to misunderstand you at times, but that's probably because of your tone and language. Not to worry though - as long as your intention is right, karma can't mess with you. This face shape is also known as a triangular face. It is characterized by a small forehead and a large jawline. To make your large jawline appear sleeker and slimmer, stick to long hairstyles or perm your locks. Adding volume to your crown area and tips will ensure that your hairstyle suits your face cut perfectly. When it comes to your love and professional life, you love to be in control. You always are prepared with plan B and C if plan A doesn't work out for you. Sometimes, you need to learn to calm down, breathe and let go. Not being in control all the time is good. For a change, give up the leader title and enjoy life by living one day at a time. Now For The Main Part, How To Identify Your Face Shape? If you don't know how to identify your face shape - this is for you. Only once you know the shape of your face is when you will be able to try different hairstyles. Are you ready to find out? Awesome! Let's do this. Step 1: Wash your face with water and make sure that your skin is free from makeup. Step 2: Tie your hair up into a ponytail. Step 3: Click a picture of yourself. Step 4: Print the picture and then draw dots on your face with a marker. Step 5: Now for the important part, connect the dots. 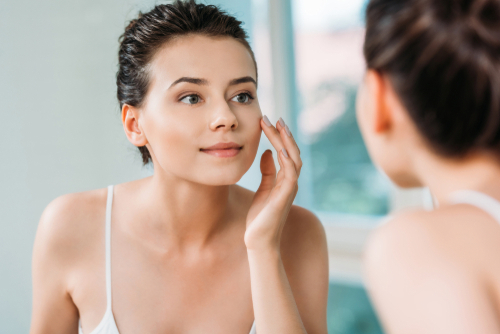 You'll be able to have a vague idea of your face shape once you do this trick. Another idea would be to use a measuring tape. Make a note of the measurement of your cheekbones, jawline and hairline. These notes will help you to find your face shape. If by chance your face is round, you'll be twinning with many popular Bollywood faces. 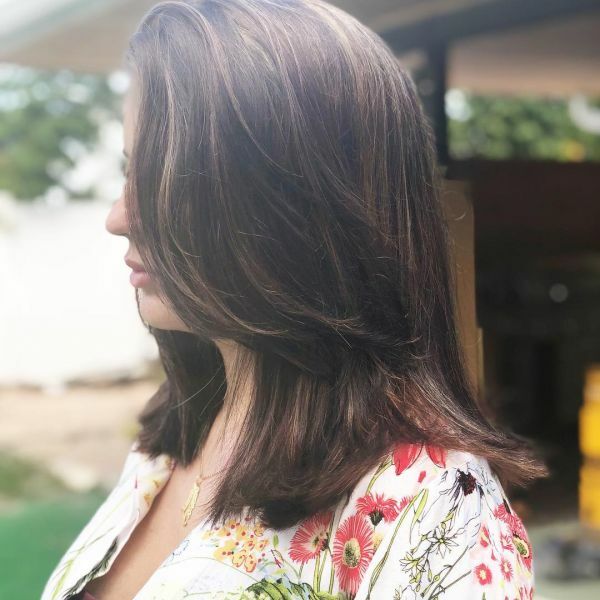 Once you know their face cut, it'll be easy to keep their hairstyles in mind in case you're planning to chop off your lovely locks. 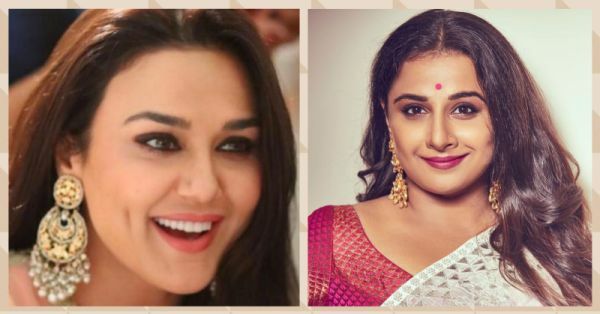 Here are 4 Bollywood actresses who have a round face shape that's similar to yours! 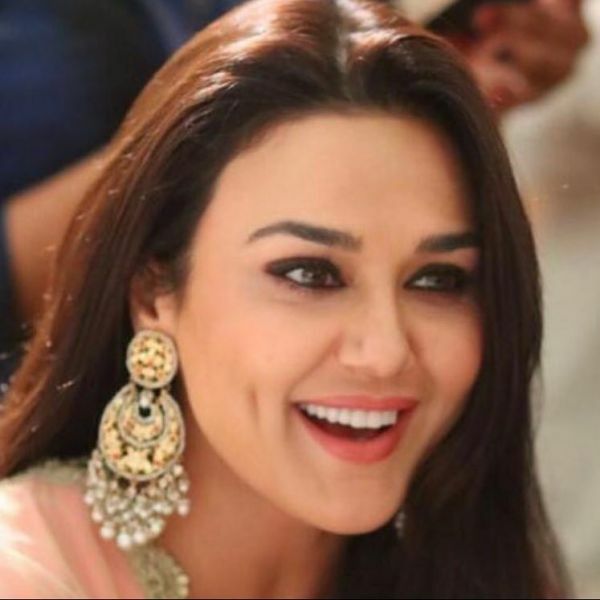 Even though Preity Zinta hasn't been in the spotlight lately, she's still turning heads because of her pretty round face. Over the years, Preity has experimented with plenty of hairstyles. 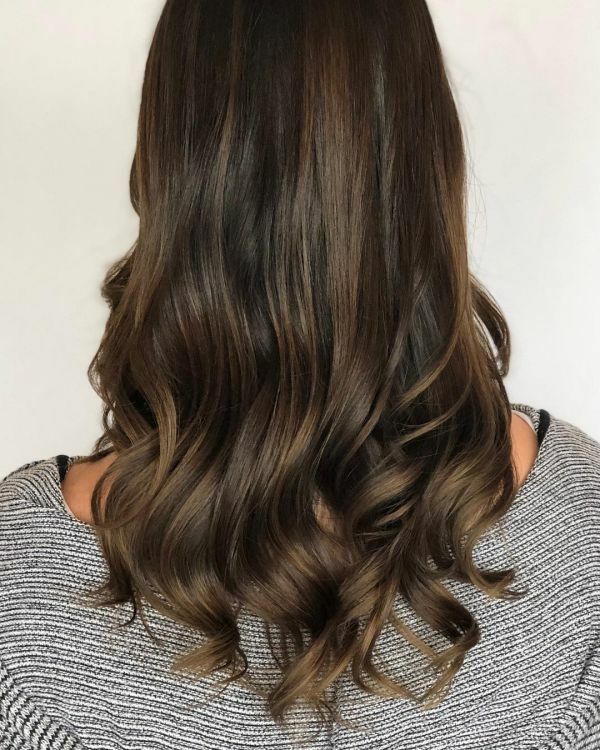 Layers, curls, bobs, buns - you name it, she has tried it. Rani Mukherjee is a legend and by far one of the most talented actresses seen in the Bollywood industry. The shape of her face looks lovely when she styles her hair to one side, does a neat topknot or just chooses a nice layered cut. 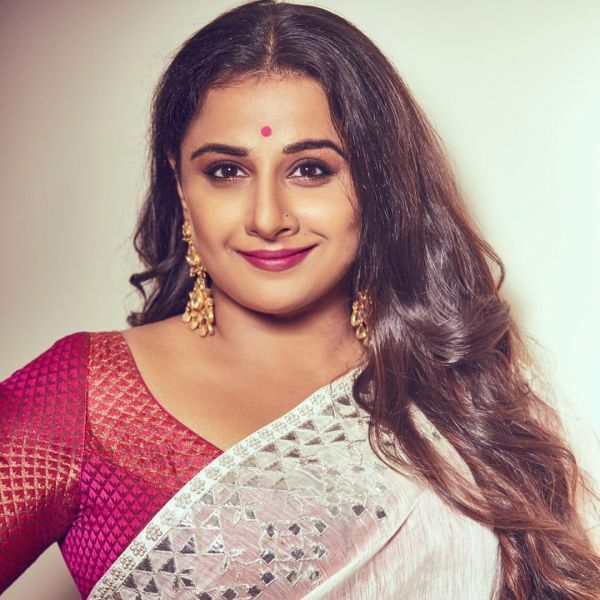 Vidya Balan is one of the prettiest actresses in the country. Her style is elegant and her beauty is incomparable. 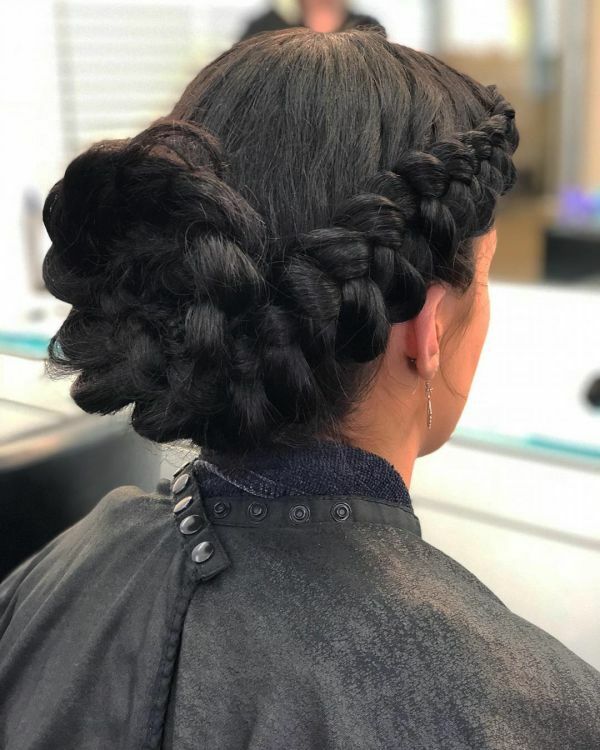 The actress is known to experiment with braids, layers, waves and buns. She occasionally is seen wearing bindis too. 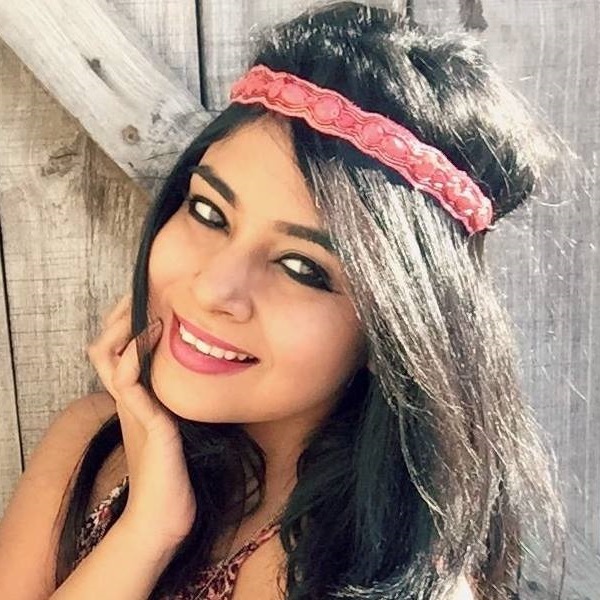 Vertical and round bindis look great with a face shape like hers. 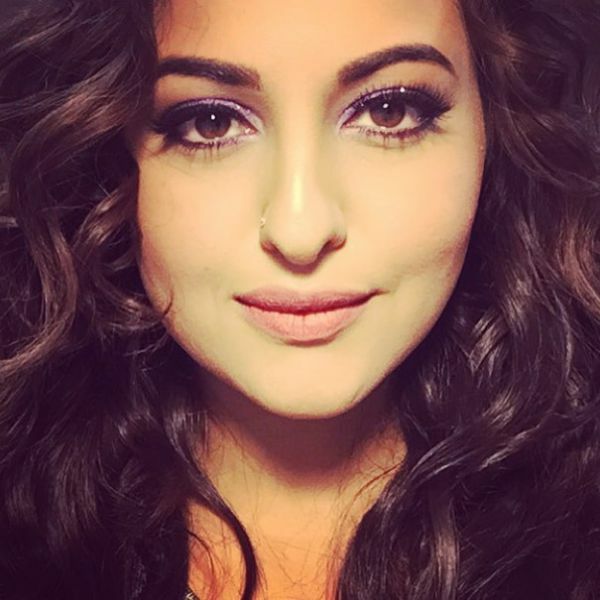 Sonakshi Sinha has a round face and looks like a bombshell in every hairstyle she tries. Curls, bangs, fringes, ponytails - almost every hairstyle suits this babe's face and personality. Eager to know which hairstyle will suit your round face? Well, look no further, because you are about to explore some cool and gorgeous hairstyles you never thought existed. Here are some of the best hairstyles for round faces, and you’re going to love them! Save this feature for your next salon visit, will you? The layered look is best suited for a round face as it frames your face and gives it more of a defined shape. This works well for long or shoulder-length hair. It’s also very versatile and can be easily styled for any occasion. Bangs that can be swept to the side are perfect for a round face shape as it will add more definition. You can do this with any existing hairstyle and it requires little maintenance. This cut turns a round face into more of a heart shape which is believed to be among the most visually pleasing face shapes. 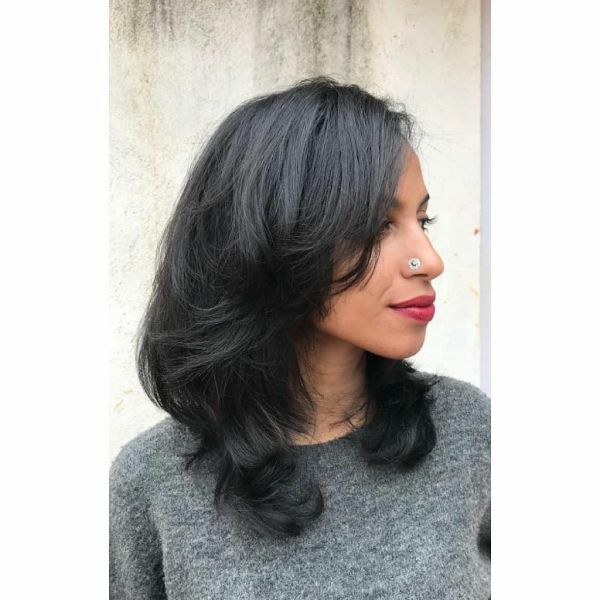 While a long bob is one of the hardest haircuts to grow out and maintain, it always looks chic and gives a round face all the definition it needs. The layers really make the face look narrow and give the illusion of having a slim and long face. It’s all about optical illusions, slightly long straight hair adds length to the face by drawing the eyes lengthwise. This makes a round face appear to look slimmer and longer. This is ideal for those who have wavy to straight hair as it can be achieved every morning with a regular flat iron. Volume and curls soften a round face and give your face a more defined appearance. 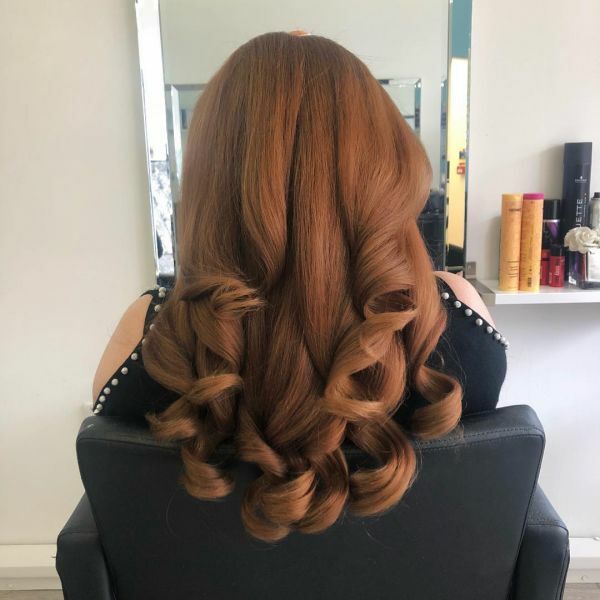 If you’re lucky enough to be blessed with naturally curly locks, then make sure you use a curl defining product to enhance those curls and leave them be to frame your face. 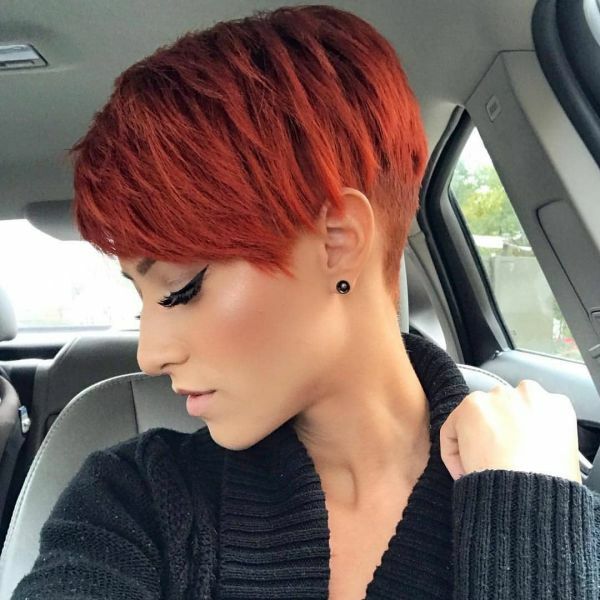 A traditional pixie cut might be too extreme, however, one that is modified with long-ish bangs will frame your face nicely. It’s also very easy to style and take care of, which makes getting ready quicker. A fringe paired with steps, to frame the face, is the ideal stylish hairdo for anyone with a round face cut. This gives great definition to the face and makes it appear sharper than ever. Give it a shot and you’ll be glad that you did! 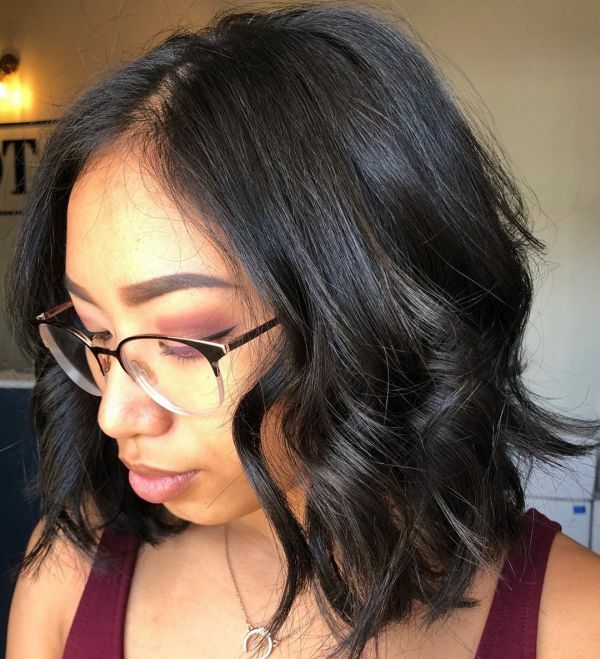 A stylish and chic hairstyle - the wavy lob (or long bob) gives the face more definition and elevates the cheekbones, making it the perfect women hairstyle for round faces. Notch it up even further with some cool streaks to bring plenty of depth to your mane! This is another hairstyle for round faces that gives a round face a sharper look. Go for a centre parting and slick back your hair in a bun. This is easy and impressive at the same time, isn’t it ladies? Layers that frame the face not only lend volume to your tresses but also give your face a less rounded look. 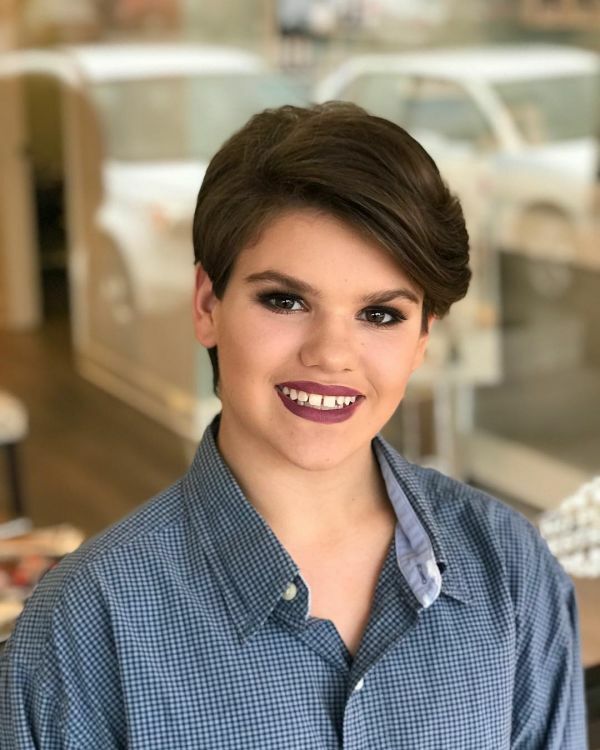 A cutesy and chic hairstyle for round faces - this is totally the right pick for girls who don’t have a problem cropping their mane. Go for the wavy, tousled look by applying some hair mousse and scrunching the ends, and get ready for tons of compliments! Flowy, dramatic waves definitely take away from that rounded face cut. 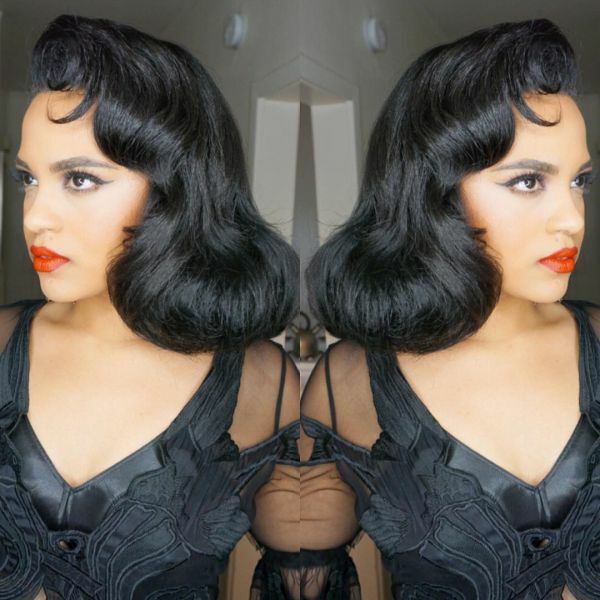 Grow out those gorgeous tresses and add volume to the ends by curling them or letting them be wavy. 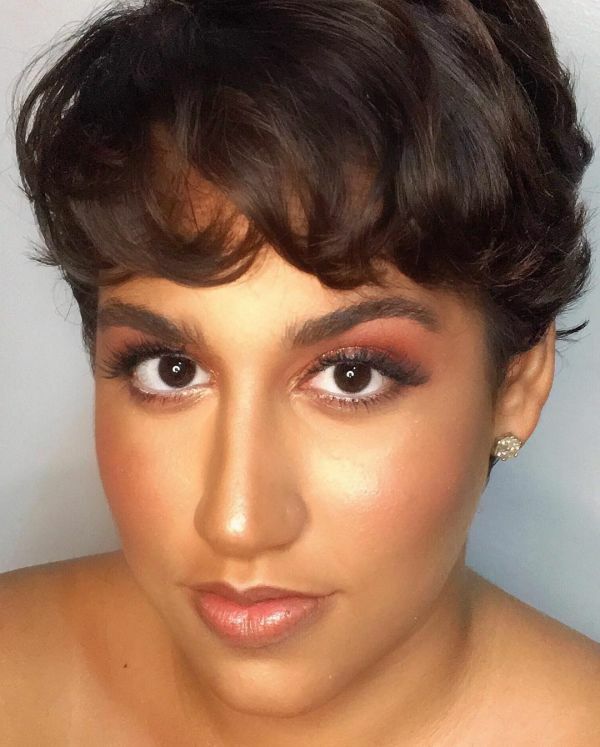 Nothing like the simple straight, smooth hairstyle for round faces, ladies. It not only looks stylish but also gives the illusion of a more slender, elongated face cut. An easy pick that you’re bound to be happy with, I promise. A smart way to give a longer appearance to the face - the dense fringe. So ladies, opt for this adorable hairstyle for round faces that are going to get you all the attention. The pixie is a fuss-free and elegant hairstyle for round faces that you’re sure to fall in love with it. 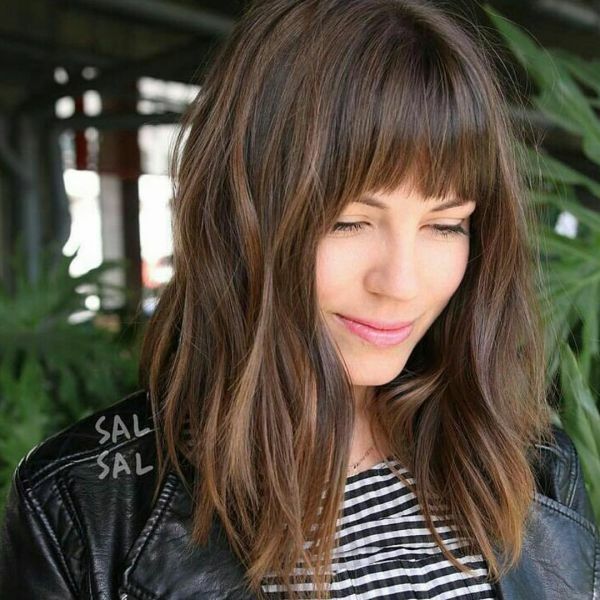 Adding longish, side-swept bangs will make your face look more defined. A win-win, ladies. 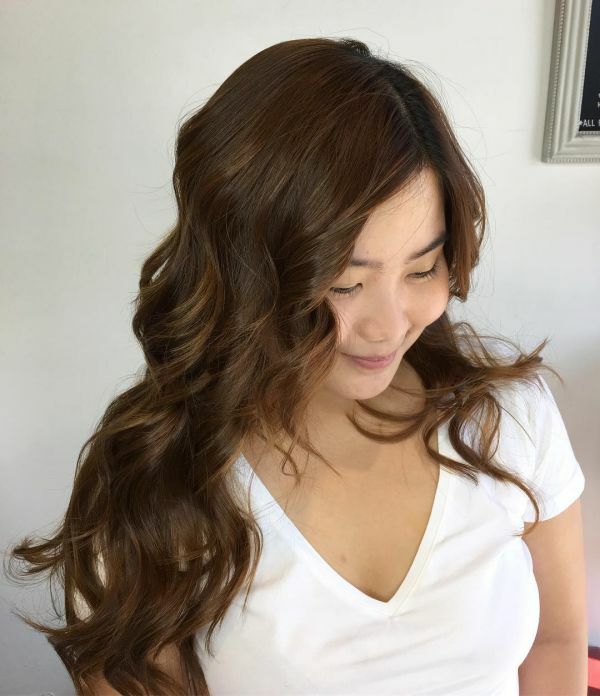 These gorgeous long waves are proof that this hairstyle works for round faces. The colour and the long length of the hair only helps achieve this look. 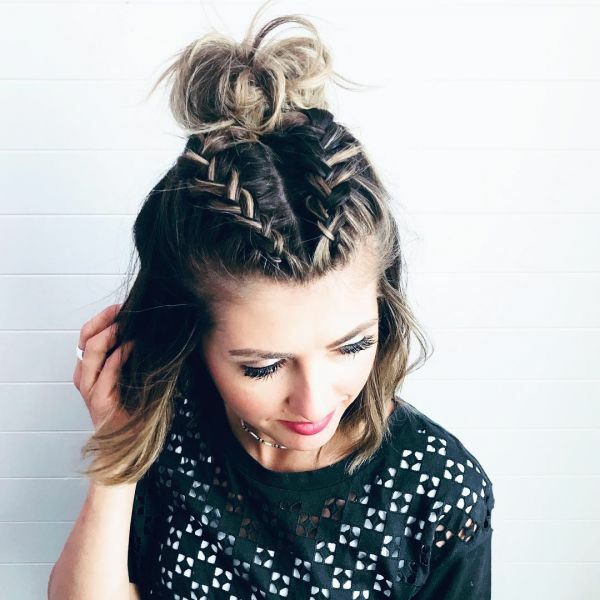 Such a fun hairstyle for round faces, isn’t it ladies? 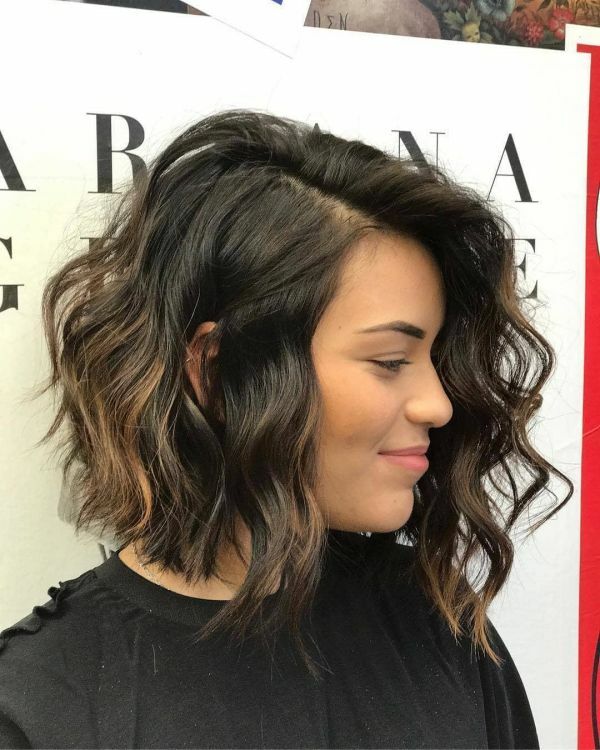 The short bob goes down till the jawline and is the style to give your face a chiselled look. 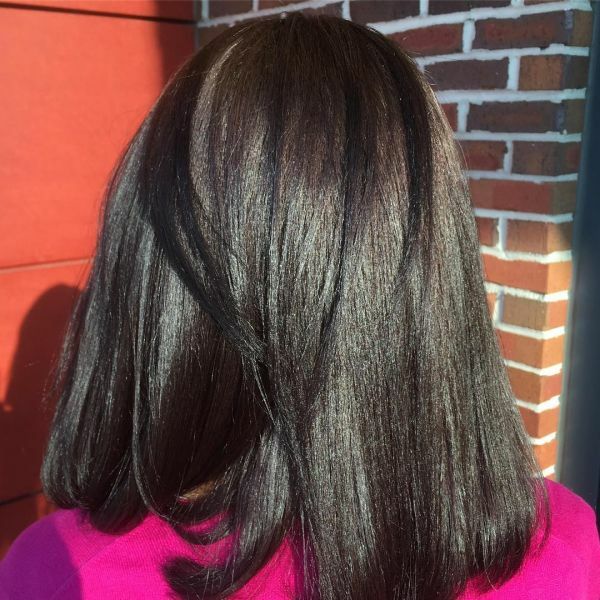 Layer up the ends a bit and watch your makeover impress all. 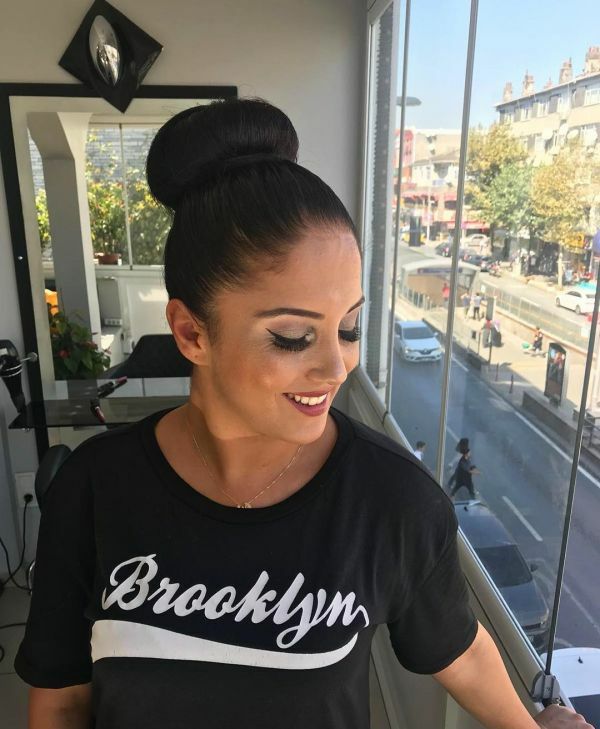 The ballerina bun is easy to do and easy to live with. It's a hairstyle that you can do at home and wear to work as well. This hairstyle is for the bold and beautiful. It's a pixie with a personality! 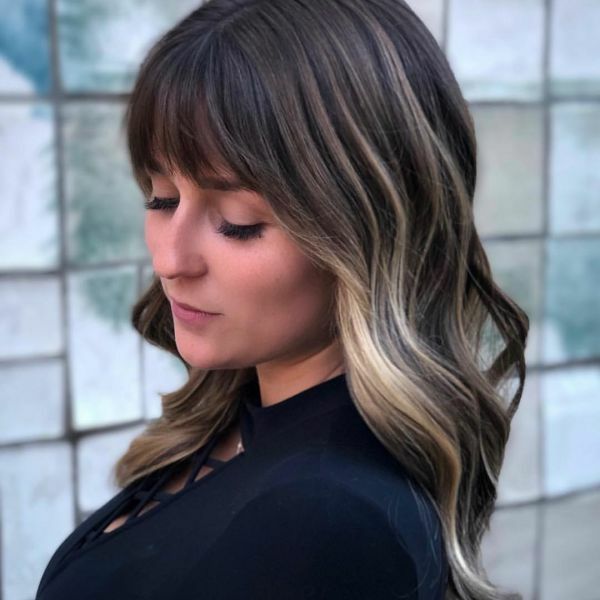 Balayage bangs look so good when they're in shades of brown and caramel. Ladies with round faces, if you opt for this hairstyle make sure that you leave it wild and messy. It looks the best when you style it that way. Imagine this, flat hair from the crown area and thick curls at the bottom. Such a hairstyle will look amazing on a round face. 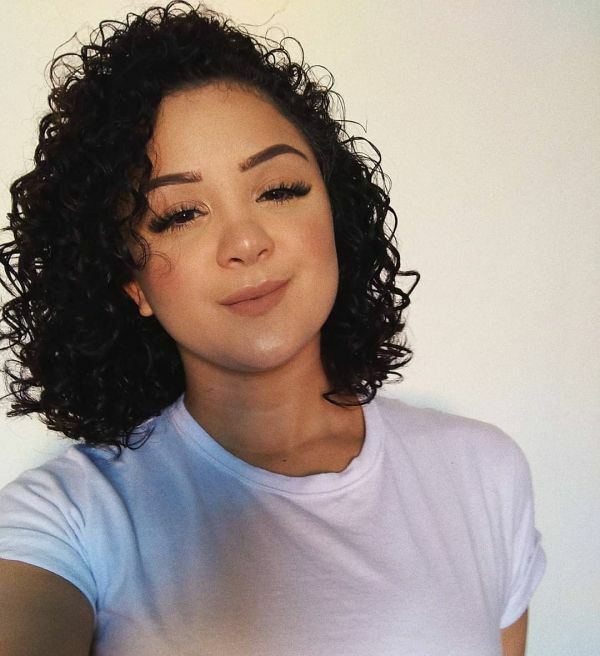 If you don't have natural curls, you can either use a hair diffuser or a curling iron. The choice is yours to make! 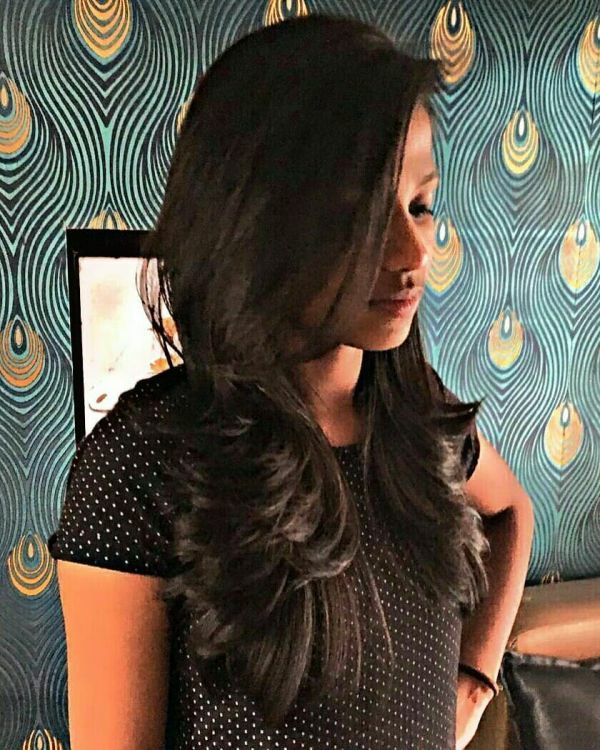 This hairstyle only will suit women who have naturally straight hair. From afar, it looks like a mushroom, but it's actually a chic and neat cut if neatly groomed. However, it's pretty high maintenance and you'll have to go for regular trims. Feeling flirty, feeling pretty? Well, this gorgeous upbraid bun will make you look like you just walked out of a magazine. It's so chic and modern, I think any woman would love to try this hairstyle. The middle top section is where you should braid and the rest of your mane, you've got to leave open and free. Flower braids look artsy, but they do take a lot of time to master and pull off. For this hairstyle, you will require skill, bobby pins and patience. You also have two choices - either stick to half bun or make an entire bun with your hair. What will you choose? 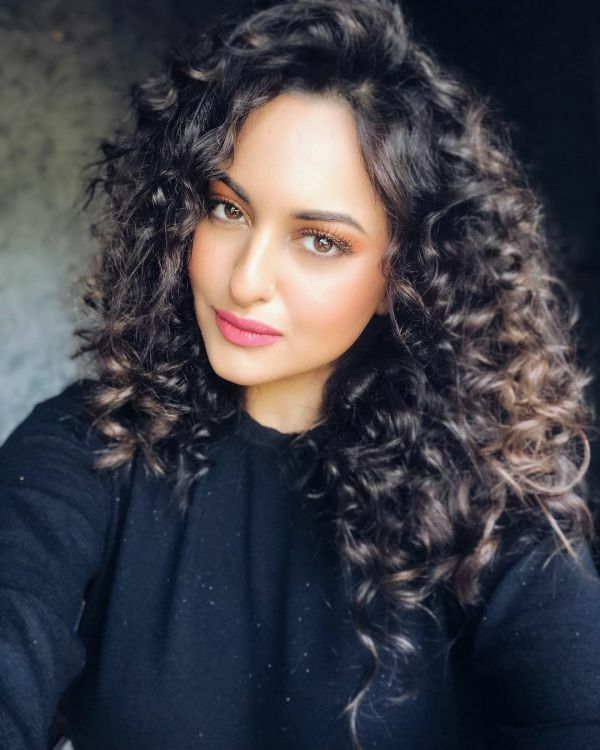 Ringlets are pretty and in fact, Sonakshi Sinha even styled her hair once this way. They look beautiful on round face cuts. The only con is that you must learn how to maintain them. Curls tend to dry out quickly, so it's important to keep them moisturized and hydrated at all times. Avoid using hot styling tools or product as it could damage your hair's natural texture. Good luck!